Isaiah 2:2, "And it shall come to pass in the last days, that the mountain of the LORD'S house shall be established in the top of the mountains, and shall be exalted above the hills; and all nations shall flow unto it." 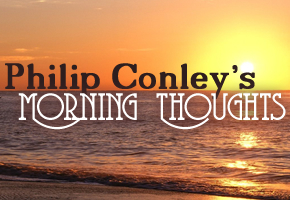 This morning, misguided ideas and improper priorities rule the common thinking of society. Consider the common ideas today that were taboo and shameful just a handful of decades ago. Just in my lifetime, the idea of homosexuality has gone from taboo and shameful to complete acceptance. Today people try to shame you if you are not tolerant and accepting of what was once barely whispered in the community. The same thing has happened in other moral questions as well. In the not too distant past, stealing another man's wife or having a child out of wedlock were grounds for community shame. Now, major portions of society and various communities do not bat an eye at such behavior and think it strange that someone would be so "old fashioned" as to have a problem with it. Sadly, the misguided notions and misplaced priorities have spilled over into areas besides morality. Many people today have different ideas of spirituality and religion than were commonplace a few years back. How many people today have the right idea and priority on public assembly in a real church of the Lord Jesus Christ? How many people today even believe that there is really that much difference between different "churches?" Most people today believe that "church" is just a place that you choose to go regardless of what is believed or taught there, and to most of them, attendance is the most optional thing that they have to do that week. Sadly, there are more and more people that I talk to that say some version of this about the "church" that they attend, "Well, I go to such-and-such church, and I really don't like everything they do. But, that's where we go, and I guess we'll keep going there." When I invite them to attend services with us, they immediately object as we "don't have anything for the kids." When I tell them that makes us no different from where they go (if they do not approve of everything where they are, why should they object to not approving of everything we do), they generally just exit the conversation. In addition to the great dearth of zeal and energy in the community for public assembly some even have the misguided idea that there are things that can either replace or equal the spirituality of church worship. Some believe that attendance is of equal value to simple Bible reading or study, private prayer, or even "enjoying God's creation" while being out in nature. Now, it is undoubtedly true that one can get a feeling of grandeur on the infinite size of God based on the beauties of creation. If creation is so much larger than we are and He so much larger than His creation, how large and great His essence must be! Private prayer and devotion is something that should be done perpetually, and regular, consistent Bible reading and study is necessary for our daily discipleship. There should not be any question – to the reasonable thinking disciple of Christ – that all of these misguided "substitutes" for worship in God's house are important in their place, but there is no substitute for church worship in God's house. No doubt, but we could term viewing grandeurs of natural creation, private devotion, and Bible study "mountaintop experiences with God." I remember standing on top of Pike's Peak where the air was quiet and still and finding myself listening to catch the breath of God, and I can still "hear" by faith the sweet words of peace that God has bestowed upon the face of my soul during those quiet moments with Him in prayer, study, and meditation. These are mountaintops in my life that I would not want to trade for all the finery of the world's pleasures. However, none of them can possibly be an acceptable substitute for church worship. Notice our text specifically says that the Lord's house is not just in the mountains, but it is in the top of the mountains. This means of all the rich experiences we could ever have with God in this life, the highest of all those moments is reserved for the House of the Lord/the Church of the Living God. The reason that these experiences are richer, fuller, and higher is similar to the reason that the tabernacle or temple of the Old Testament was a more manifest time with the Lord. Recall that the glory of the Lord would descend upon the tabernacle in the wilderness, and smoke came out from the altar in Solomon's temple to signify the Lord's presence with them. The Lord's glory was more apparent there than anywhere else, because that was where He chose to make Himself the most known and seen. So it is today in God's house. God has set His church in this world to be not only a beacon of light for the poor and afflicted as a city set on a hill, but He has also established it to be where His richest glories in this world would be seen and felt. While I have by faith experienced His sweet whisper of peace to my soul in private times, there is no comparison to the majestic power of the gospel and the utterance of the spirits of just men made perfect that has caused my face to look up and get glimpses of His presence unlike anywhere else. He has felt closer, He has sounded clearer, and I have seen purer in the top of the mountains in the Lord's house than anywhere else. It is such a rich time with the Lord that I have never found the words to adequately express what it is like. To invite someone, I am left with the simple "Come and see" that the disciples used. Come and see Christ in richer beauty than anywhere else, and to come and see the beauties of His glory more than any other peak can offer. How long ago was it that most people in the community went to "church" somewhere? How about now? In my lifetime, I have seen (depending on the locale of course) the community's church attendance slip from somewhere between 60-65% to about 33%. These days, I talk to two people that do not attend anywhere or attend regularly for every person I meet that does. It means less and less to people in the regular activities of life than it did before. Friends, this is the highest we can get in this world. I remember an older minister from my youth that has now gone on to be with the Lord. He was one of those older men that kept his sense of humor about things that many in his age group just grumbled about. He said, "When people ask me if I want to get high or feel good, I tell them I don't need anything since I go to church every week." Paul equates our attendance in the worship service as doing honor and service to the sacrifice of Jesus Christ. In Hebrews 10:25, he first encourages us not to forsake it, and in the verses that follow he equates forsaking it to crucifying the Son of God afresh, counting His blood that sanctified us an unholy thing, and doing this despite unto the spirit of grace given unto us! If the situation of not being there is as dire as Paul asserts that it is – and because it is inspired Scripture we have no reason to think otherwise – then consider the contrast. Paul equates slack attendance to a poor attitude towards Christ to be met with some of the sorest punishment and chastisement that God metes out to His children. However, the contrast is that church attendance is met with the highest, richest, and choicest of God's blessings. Friends, there is no other place like the mountain of the Lord. She sits as the ultimate peak, and she is the joy of the whole earth. May our devotion to God be found first and foremost in that glorious place where the glory of the Lord comes so manifestly to His people, and may our other mountaintops of life be in their place so that things do not ever get misplaced or misguided.